For complete peace of mind, trust our team to keep your Mercedes-Benz running smoothly, powerfully and efficiently with regular servicing. Our technicians are trained to the highest standards, using Mercedes-Benz GenuineParts and, like all of our team, care as much about your car as you do. - Book with flexible MyService booking options - Drop&Go, Lounge, Drive and Collect or Express. - Complimentary 12 months Roadside Assistance (dependent on vehicle age)*. - Complimentary 40-point safety check point. - Receive a StarView video – see your service through the eyes of our technician. - We only use Mercedes-Benz GenuineParts. MyService from Mercedes-Benz is designed to be flexible around you. Use our online booking service and receive a £10 discount when you pre-pay. Express Service by Mercedes-Benz, for those who want to take the fast lane. Two technicians working in tandem on your vehicle for expediency. Depending on the service we can have you back on the road in about an hour. The flexible choice for when you want to get on with your day. 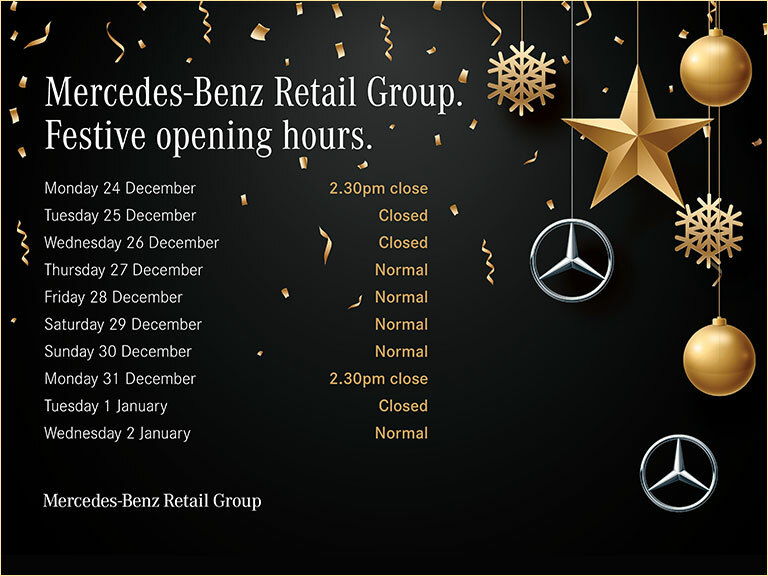 With Drop&Go drop off your Mercedes-Benz any time between 8-10am and we will have it ready to go again for you to collect any time from 4.30pm until we close. With our Lounge option, you can relax in our Comfort or Business Zone lounge offering free Wi-Fi and complimentary refreshments, safe in the knowledge you’ll be back on the road as soon as possible. There is also a children's area for the little ones. We know that you can’t always afford to be off the road when your own car needs attention. With our Drive option, we keep you mobile by providing you with a Mercedes-Benz loan car whilst we work on yours. It’s sometimes simply not convenient to bring your Mercedes-Benz into us. That’s why we created the Collect option. One of our dedicated drivers will collect your car from your home or work between 8-11am and bring it into us on your behalf. After completing the work, your car will be delivered back to you before 6pm.